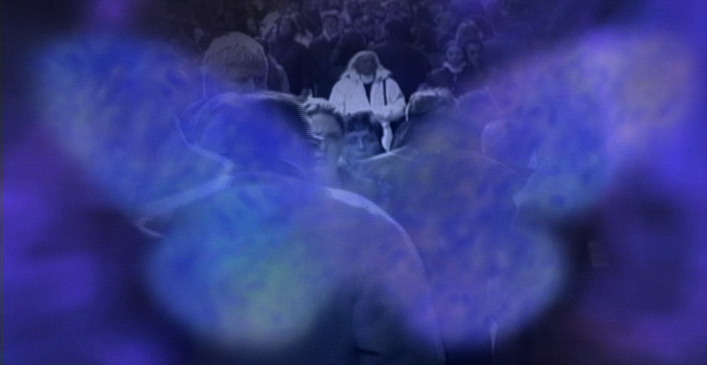 Join us for a screening of this documentary by Jason Starr, narrated by Stockard Channing. Followed by coffee, snacks and conversation. From the volcanoes of the South Pacific to the Alpine peaks and meadows where Mahler composed, dramatic images from the natural world give shape to the Third Symphony’s evolutionary saga. 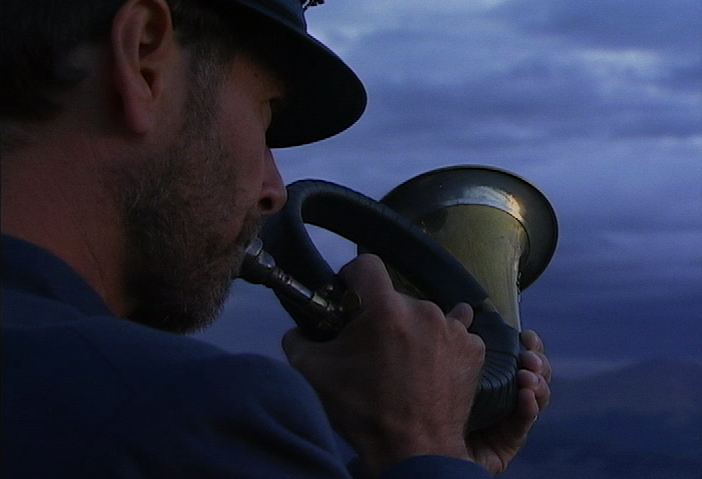 Thinkers such as Howard Gardner, Stan Brakhage and Catherine Keller join Mahler experts Henry Louis de La Grange, Donald Mitchell, Peter Franklin and Morten Solvik to introduce this masterpiece to new audiences and to celebrate the 100th anniversary of its premiere. This entry was posted in Uncategorized on December 1, 2018 by Judith Whitney-Terry. 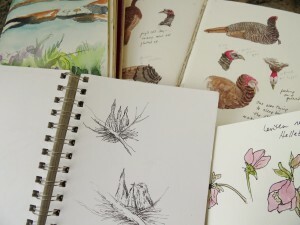 Mary Richmond, artist and naturalist, presents “Good Nature, Bad Nature – How our Thoughts Affect our Environment.” Sunday, November 25 at 10:00 a.m.; coffee hour to follow at 11:00. All are welcome. 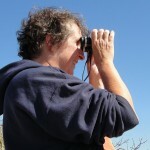 Mary Richmond is well known for her weekly illustrated columns in the Falmouth Enterprise and Cape Cod Chronicle which challenge and delight with informed observations about the natural world around us. Check out her blog and on-line shop at http://www.capecodartandnature.com, where you can purchase copies of her children’s book “Beach Bunnies on Vacation”, notecards and more. This entry was posted in Uncategorized on November 22, 2018 by Judith Whitney-Terry. 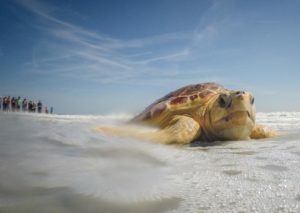 “Saving Sea Turtles: Preventing Extinction.” A few weeks ago, the Kemp Ridley turtles started arriving on our bay beaches, washed ashore and stranded by the prevailing westerly wind, cold-stunned by the dropping temperatures. Over the last decade, the number of stranded turtles has steadily increased, but the late autumn of 2014 saw an unprecedented event as more than 1,200 cold-stunned sea turtles washed ashore. This documentary, narrated by renowned scientist Dr. Sylvia Earle, puts our local experience and volunteerism into a global perspective as it follows the Kemp Ridley’s through their annual migration. 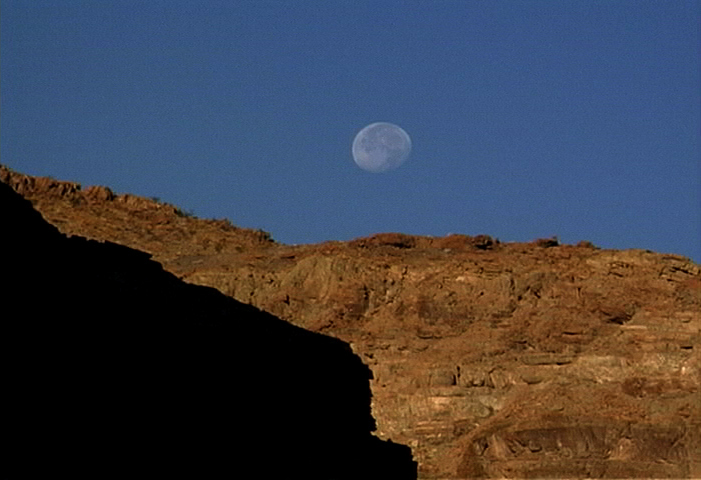 Join us for the film screening, some discussion and coffee hour beginning at 10:00 a.m. Sunday, November 11. This entry was posted in Uncategorized on November 4, 2018 by Judith Whitney-Terry. 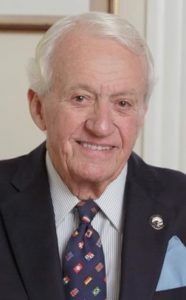 A graduate of Harvard College, Delhi School of Economics, Fletcher School of Law and Diplomacy, and Harvard Graduate School of Public Administration (now Harvard Kennedy School), Terry spent has spent over sixty years in leadership, advisory, and volunteer roles in government, enterprise, and non-profit agencies, emphasizing economic development and civic service. He led the first Peace Corps Volunteers in South Asia, 1961-63, and played a pivotal role as Founding Trustee and Board Chair of Oxfam America. 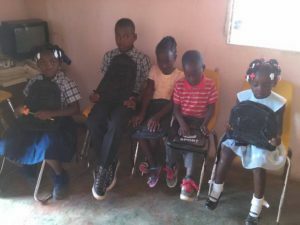 He remains engaged in his local, national and international communities while working from his home in Orleans. This entry was posted in Uncategorized on October 21, 2018 by Judith Whitney-Terry. 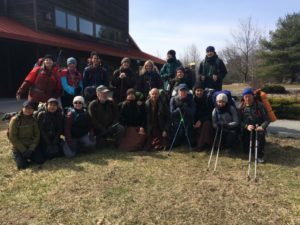 This past spring, Susan Bachman drove her Honda CRV hauling a 5×8 u-haul trailer for 3000+ miles to support a walking retreat along 450 miles of the Appalachian Trail from the Blue Cliff Monastery to Washington, D.C. In her presentation, she’ll share some of her experiences and reflections on mindfulness practice/practicalities. Susan Bachman lives in Wellfleet, MA, and worked in the public school systems in 8 states during a 36 year career as an elementary teacher and library media specialist. She is also mom to Phap Luu and has visited Plum Village, Deer Park, and other monasteries over the past 14 years. This entry was posted in Uncategorized on October 13, 2018 by Judith Whitney-Terry. Create a Culture of Kindness! There’s a long history of solidarity and reciprocity between Matenwa, Haiti and the Lower Cape. On Sunday, October 22, Isabel Pelligrini, President of the Nauset Human Rights Academy, will tell us about one of the newest iterations of that relationship as she recounts her experience visiting Haiti last spring. 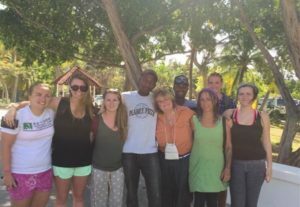 Each year, Lisa Brown, a teacher at Nauset Regional High School travels with 3 – 5 students on an educational immersion trip to a small village called Matenwa off the coast of Haiti. Read more. The Human Rights Academy is a project of the Barnstable County Human Rights Commission intended to promote human rights education and civic engagement among students enrolled in the region’s high and middle schools. Nauset Regional High School is a regular participant on the county-wide academy and has fully integrated the Human Rights Academy into its year round offerings. This entry was posted in Uncategorized on October 19, 2017 by Judith Whitney-Terry. Are the human rights of all in our community respected? What sorts of human rights violations occur on Cape Cod? Who is most vulnerable? Barbara Monteiro Burgo, Chair of the Barnstable County Human Rights Commission will brief us on current human rights concerns and the steps the commission is taking to address them. The Barnstable County Human Rights Commission (BCHRC) was formed by ordinance of the Barnstable County Assembly of Delegates in 2005 in response to a citizens’ initiative. 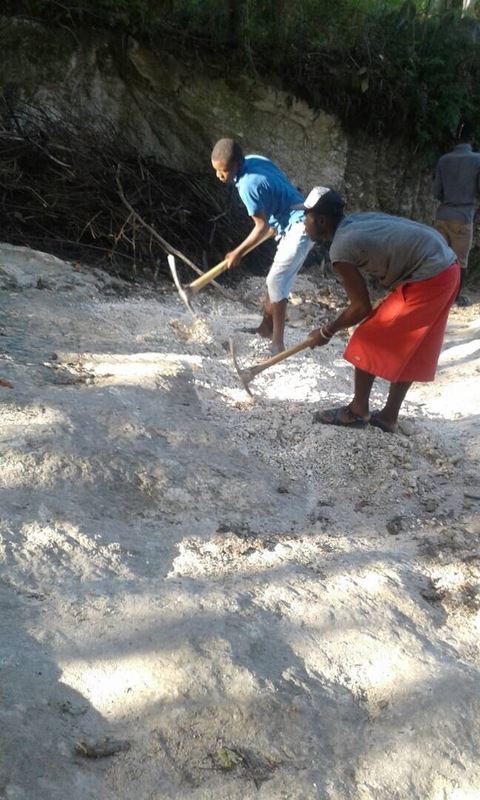 Through its appointed Commissioners and Town Representatives (all of whom serve as volunteers without compensation), the BCHRC provides for community awareness of and direct response to possible human rights violations through mediation and/or legal action. Barbara Monteiro Burgo is known for her efforts to preserve the cultural heritage and history of the Cape Verdean communities of southeastern Massachusetts, especially Cape Cod. She is the former President of the Taunton Cape Verdean Association, former State President for the American Association of University Women. 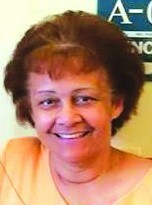 She was elected to the Brewster Housing Authority Commission in 2015 and is an Executive Board member of the Cape Cod NAACP. This entry was posted in Uncategorized on September 12, 2017 by Judith Whitney-Terry. 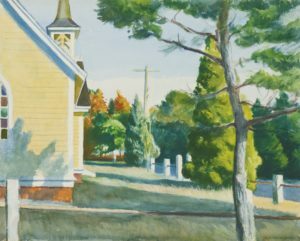 For decades, the iconic Chapel in the Pines has inspired Cape Cod Artists. Now we’re asking Cape Cod Artists to help restore the Chapel. The Chapel in the Pines at 220 Samoset Road is the only building within Eastham’s historic district that has never been properly refurbished. Plans approved by the town of Eastham include restoring the wood shingled roof and steeple, construction of a commercial grade kitchen, a handicapped accessible bathroom, a pond-side deck, installation of a state-of-the-art fire suppression system, and improvements to the wheelchair ramp and adjacent parking. These upgrades to the existing facilities will improve the chapel’s functionality in countless ways without compromising its historic beauty. 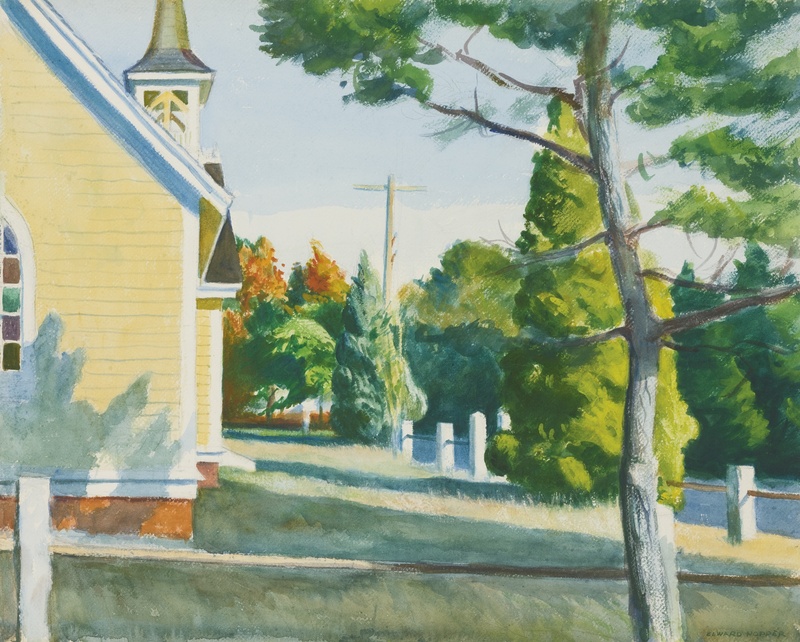 You can help restore the Chapel by contributing your art, or perhaps art you have collected. Your help in publicizing this event will be invaluable. What: Art Show and Charity Art Auction featuring paintings, drawings, sculpture, photography, usable art and jewelry. This show will be juried and open to works by Artists with ties to Cape Cod. Organized by Chapel in the Pines Building Restoration Committee in partnership with the Friends of Eastham Library and with the heartfelt support of the Eastham Painters Guild. Terms: Pieces can be donated outright or sales price can be split with contributing artist. All proceeds from the sale of artwork donated from personal collections will go to the Chapel Restoration Fund. Not an artist? There are still lots of ways you can help make this event a success and help the Chapel. Talk to Laura about event sponsorship or volunteering: 617-888-3286.